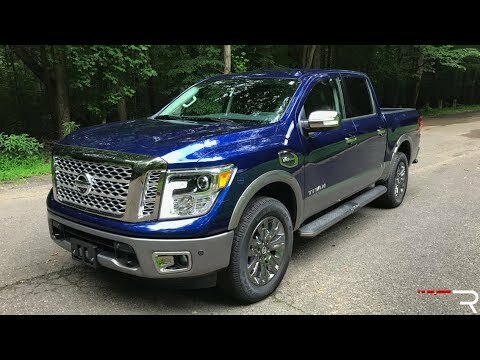 The Nissan Titan pickup truck enters its second generation as an all-new model for 2017. Long an also-ran among far better-selling rivals like the Ford F-150 and Chevrolet Silverado, the Titan full-size truck hopes to lure buyers with a best-in-class warranty and nifty cargo features. Despite its best efforts, the Titan faces an uphill battle. My car takes me everywhere. The Sentra is a nice car. The interior is really nice, I like the stitching and colors. My car specifically has Audio Bluetooth but not music Bluetooth so that is a con. It drives very well and I can't complain about that. The tank is about 5 gallons smaller than my last car and has the same mpg so I do have to fill up more but that's okay too. Overall pleased with it. This is our 3rd Nissan vehicle and we have owned fords, Chevys and Mazda in the past. I must say that I have never enjoyed a vehicle more than our Nissans. The titan xd is very fuel efficient and heavy duty. The seating is very comfortable with more than ample head and leg room. The leg room in the back seat is more than I have seen in Dodges and fords. My vehicle is nice and wouldn't buy another. My vehicle is a blue Nissan titan xd diesel truck that is new and not used and it works fine, I hardly have problems with my truck. I do not have any intention on buying any other cars any time soon. Only problem with my truck is the cost of the diesel. I cannot think of anything to better describe the truck.